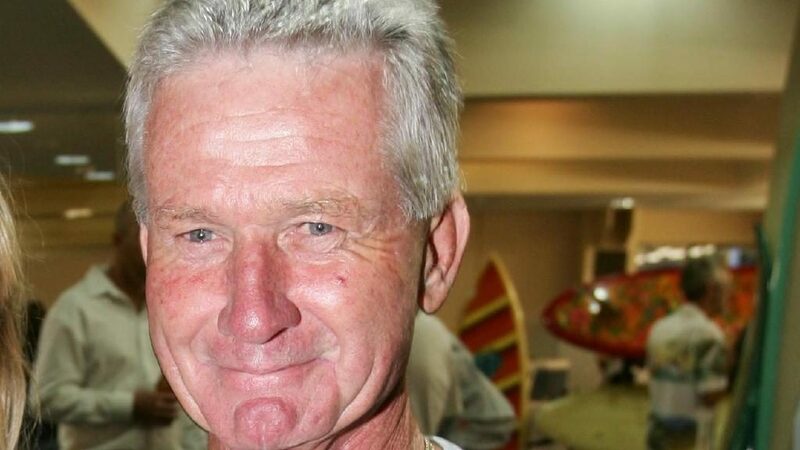 Very sad news – Bob Henderson, an old-time Hobie sailor from Yarra Bay, died on the weekend in Qld. Bob Henderson and wife crew Marilyn began sailing at Yarra Bay 16 foot Skiff Club along with good mate Bob Munroe, initially Hobie 14’s, then H16’s. Yarra Bay had a very strong H14 fleet at that time…20+ boats regularly. The two ‘Bobs’ threw a lot of effort into the club and youth training (both monohulls and multis) including providing loaner boats for potential club members. Hendo and ‘Maz’ sailed together at state and national level for many years on a Hobie 16, and when retirement came along, they moved north to Currumbin to follow Bob’s passions…surfing and sailing. The Hendo’s were regular competitors in the Currumbin Hobie fleet. Regular surfers at Currumbin say Hendo was so well known that they could “set their watch” by when he gets in and out of the surf each morning. It is understood Bob suffered a surfing accident many months ago and had been unable to leave his hospital bed since that time. Wife (and crew) Marilyn has been by his side. Hendo was a true blue Hobie ‘fossil’…with all that it involves…laid back on the beach, fierce on the water. He will be missed by his many friends in the Hobie family.